According to Centers for Disease Control and Prevention 1 in 33 babies are born with a birth defect. More infants die from birth defects each year than any other cause. There are many causes of birth defects. If the cause of your baby’s birth defect or injury stemmed from medical malpractice or a prescription drug, you may be able to file a lawsuit against the responsible party. Medical Claim Legal can help with the legal process. Bleeding in the brain: caused by a rupture of a blood vessel within the skull. This can be caused with inadequate blood flow to the brain. Bruising and Forceps Marks: if forceps are used during delivery, they may leave temporary marks or bruises on the baby’s head. In extreme cases, forceps use can cause depressed skull fractures, which may require surgical elevation. 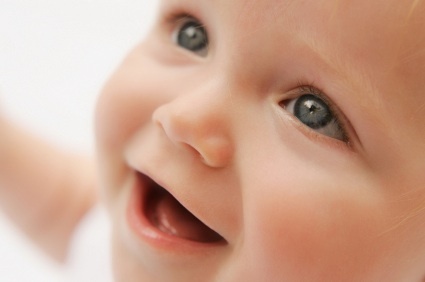 Facial Paralysis: pressure may cause injury to a baby’s facial nerves. With more severe nerve damage, it may be necessary to surgically repair the damaged facial nerves. Sickness, disease and infection to the pregnant woman can lead to birth defects and injuries. Birth defects and injuries can also result from something the mother consumed during pregnancy. While substances like illegal drugs and excessive levels of alcohol can cause defects, prescribed medicine can also cause medical problems. If you or a loved one gave birth to a baby with a birth defect or injury and it was caused by prescribed medication, the pharmaceutical manufacturer may be at fault. One pharmaceutical company has paid out over $1 billion because of birth defects and injury caused by one of their drugs. Birth defects and injury lawsuits can be emotional, difficult and overwhelming for those involved. Medical Claim Legal can help make the entire process easier. Our large network of lawyers will make sure you get the proper representation you deserve and ultimately, the settlement owed to you. Let us help you today.